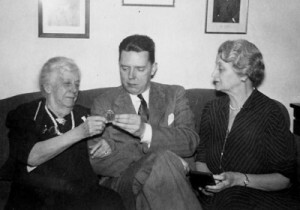 Emilie Lawrence Reed, Philip Showalter Hench, and Blossom [Emilie M.] Reed at a party celebrating Emilie Lawrence Reed’s 86th birthday, January 1942. Philip S. Hench Walter Reed Yellow Fever Collection 1806-1995. Box-folder 86:74. Historical Collections, Claude Moore Health Sciences Library, University of Virginia. The Philip S. Hench Walter Reed Yellow Fever collection is one of the most comprehensive sources of material documenting the history of the U.S. Army Yellow Fever Commission. Researchers may view the collection in person at the Claude Moore Health Sciences Library or access it online through the University of Virginia Library catalog. Much of the collection was acquired or created by Nobel laureate Philip Showalter Hench. Hench first became seriously interested in the history of the U.S. Army Yellow Fever Commission in 1940, when he was asked to give a dedication address for the Jesse W. Lazear Chemistry Building at Lazear’s alma mater, Washington & Jefferson College. From the time of the address to his death 25 years later, Hench gathered a great deal of information about the Commission to write an authoritative and unbiased account of its work to understand yellow fever. Hench was meticulous and persistent in his research collecting publications, combing numerous archives, and conducting interviews with those who worked with and knew members of the Commission. He also persuaded many to donate unpublished documents of great personal value. By the 1950s, Hench was recognized as an international authority on the history of the U.S. Army Yellow Fever Commission and became an advocate for memorializing their work. Although Hench made notable discoveries as a historical researcher, he only published a few articles and never was able to write a comprehensive study. After his death, the vast collection of source material that Hench had assembled was donated by his widow, Mary Kahler Hench, to Walter Reed’s alma mater, the University of Virginia. Since the initial donation, the University of Virginia has acquired other materials related to the history of the Commission and have added them to the original collection. The University has also, with the generous support of the Institute of Museum and Library Services, made much of the collection available online. 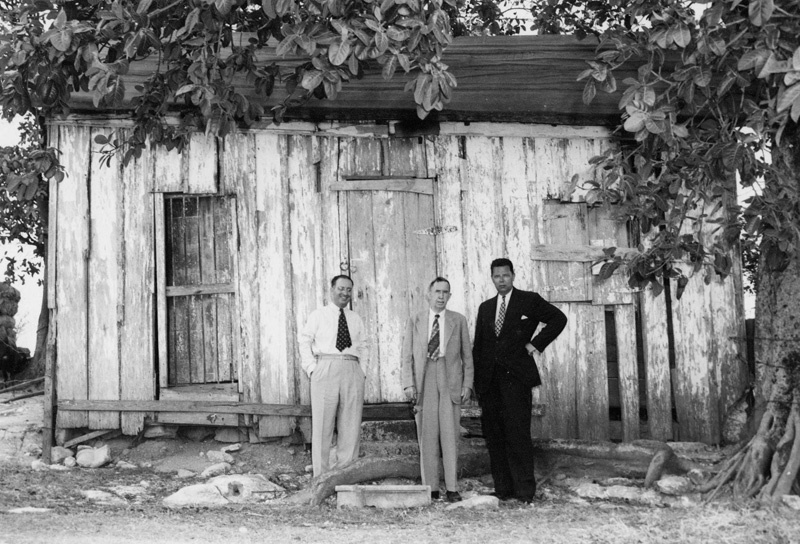 Pedro Nogueira, John J. Moran, Philip S. Hench (l.-r.) in front of Building Number One at the Camp Lazear site in Cuba, March 1948. Philip S. Hench Walter Reed Yellow Fever Collection 1806-1995. Box-folder 91:31. Historical Collections, Claude Moore Health Sciences Library, University of Virginia. The Philip S. Hench Walter Reed Yellow Fever collection has given researchers new insights about the history of the U.S. Army Yellow Fever Commission and has been cited in many publications. The Claude Moore Health Sciences Library will continue to work to ensure that the collection continues to be made available to researchers for many years to come.